The Wild Ferment is produced by letting a combination of small 1,000 liter Inox tanks and 225 liter French barriques ferment on its own using native yeasts. Upon completing fermentation, only successful tanks/barrels (not all complete fermentation as required with wild yeast) are blended and the resulting wine is fabulously complex and aromatic, while still maintaining the mineral, almost salty, nature of the grape. It is big, ripe and impressively pungent with white pepper, salt and volcanic pumice. There is a seamless duo of intense acidity and a layered very austere structured grapefruit saline finish. Compact with loads of extract. 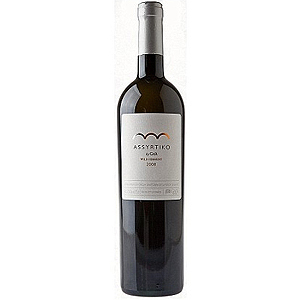 With age, the wine will lose its mineral dimension and develop complex fruity and honied notes. Drink now or hold for up to 5 years.